Both Frontpoint (877-959-9806) and Protect America (866-247-0376) are leading providers of affordable, easy-to-install home security solutions. They are pretty close competitors with similar plans, pricing and equipment. Let’s go over the differences between these two brands so you can get a better idea of which would be better for you. If you are short on time, try our quick 2-minute quiz to get a personalized home security solution based on your needs. It’s helpful, easy and anonymous. We’ll start by analyzing an important component, the price. Of course, both companies offer packages for their clients, and we chose to analyze each of their three-year options. 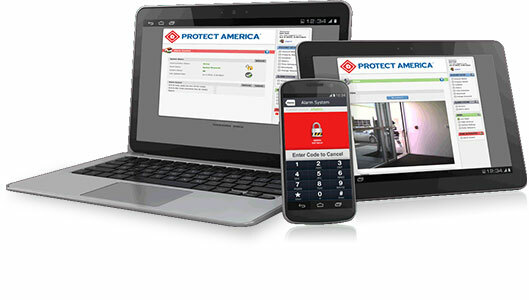 Here, Protect America proves to be the winner, having the lowest price package, with a landline monitoring. 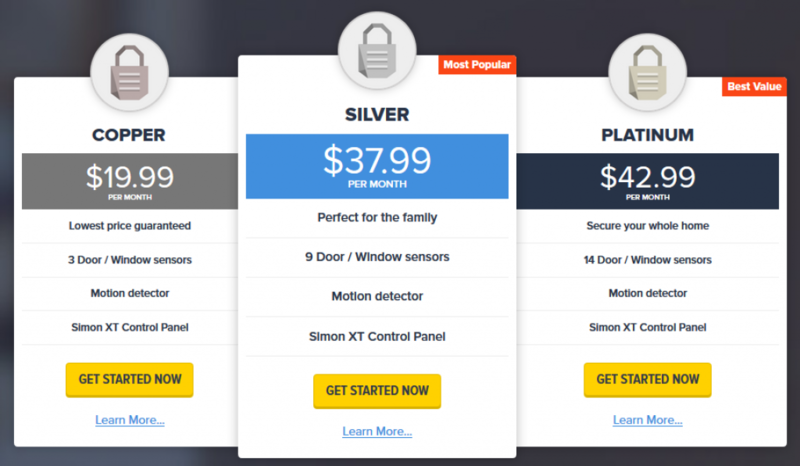 At $19.99, you get a control panel, a motion detector and 3 door/window sensors. However, Frontpoint does not have a landline monitoring package. Frontpoint enters this round with their Interactive Monitoring package at $44.99 per month, while Protect America has a price of $37.99. However, Frontpoint offers more advantages including cellular monitoring, crash and smash protection and more. You can get the full picture in our review of Frontpoint here. Meanwhile, Protect America offers free equipment and a mobile app, but it has higher additional costs for things like a smoke detector, a keychain remote or a glass break sensor. Here, Frontpoint’s offer is definitely more attractive: they add Crash and Smash Technology, Remote Access and Control, GEO services, Email and Text Alerts and Light Control for $44.99 a month. However, you will have to pay the initial charge too, which round up to $199.93, so this round is won by Protect America. It has one extra door/window sensor and also, crash and smash protection. The most expensive in the offers of the two companies, the fourth package comes with great features. 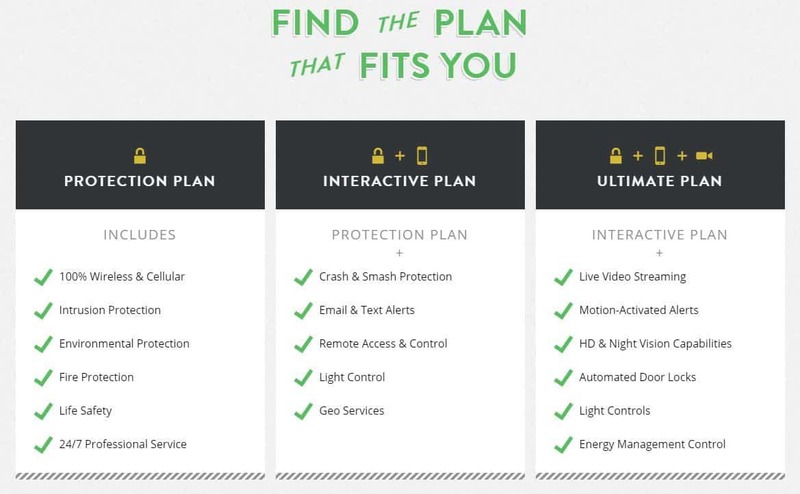 The high end package from Frontpoint features still only two sensors, crash and smash protection and you can control thermostats and door locks from your smartphone/computer. Meanwhile, Protect America offers you 14 door/window sensors. The difference is that if you want to buy extra sensors, Frontpoint will ask you $32.99 for each of them, while Protect America will increase the price of monthly monitoring. Protect America has its own original system, Simon XT. It’s a wireless device the size of a thermostat that can be mounted on the wall with adhesive. You simply use the touch screen and manage the house security system. On the other hand, Frontpoint offers a similar one that enables you access to the system from a different location, which is really useful if you have a multiple-story house. Also you have a control panel, a key chain remote, mobile apps and a talking remote touch pad. As such, they have a vast array of modern equipment for you to use. Frontpoint cares a lot about prevention: they offer an outdoor wireless camera, so they can acknowledge the burglars even before they get close to your home. When it detects any motion, it records and sends images to your tablet/smartphone/computer or anything that connects to the internet. It can see up to 40 feet ahead and is also weatherproof. More than that, you can benefit from their wireless indoor and outdoor cameras as well as their smart doorbell camera. Meanwhile, Protect America has 24/7 video security, with wireless cameras that can be placed anywhere and linked to your smartphone. They also offer you text updates if you forget to check the status of the things while you’re away. Protect America is aware of other dangers than burglars that can put your home in danger. That’s why they offer lots of preventatives and systems against accidents. The smoke alarms from them can also be panic buttons, calling automatically the fire department. They call you to ensure there is no false alarm, but in case nobody answers, they come to your home. A similar protection is from carbon monoxide. Also, they have panic systems with three buttons: the police, the fire department and medical emergencies. If you press one button twice, the respective authorities will come immediately to your place. Also, for elders, they have portable panic systems as pendants or key chains. 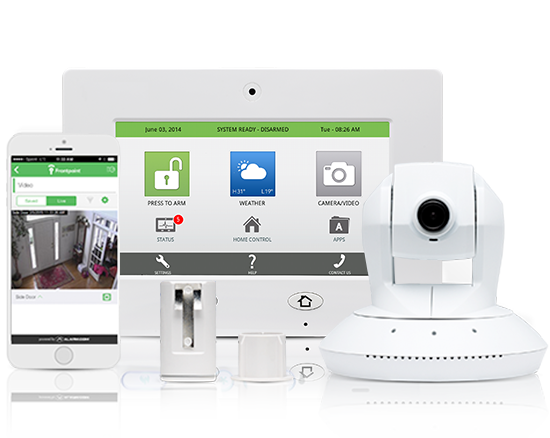 Frontpoint also offers wireless, easy to use monitoring and alarm systems. The remote access option allows you to find out immediately whatever is wrong with your home using your phone. For instance, with the carbon monoxide system, a red light first lights up along with the alarm. They come with a 7-year sensor life weight, and they warn you not to place the sensors near false alarms places, like the vent or especially humid or dusty areas. Protect America has three stations running all the time, in case one of them fails. They have a professional environment in all the centers and the employees receive a thorough training. On the other hand, Frontpoint uses RapidResponse Monitoring, which is a high quality center based in the U.S. However, they charge you a fee when they install and connect you to the center and also you have to pay a monthly fee after that. Protect America has a hotline run by their CARE team (a team of troubleshooting professionals). It is available from 8 AM to 9 PM during the week and from 9 AM to 7 PM on weekends. Many people are satisfied with this service, talking about helpful people and clear and fast answers. Frontpoint’s service can be reached by phone or email, and their troubleshooting methods are easy and painless. They have one of the best customer service, with high ratings on profile websites. To sum up, perhaps one of the best advantages of Frontpoint is their ease of usage: everything is easy, from setting up the system, asking for help, keeping in touch with the system etc. Plus they’re durable. Protect America is also portable and offers lots of solutions for you to check your home when you’re away. You can receive text messages or watch the home on your smartphone. The final decision is, of course, up to you. It depends on which aspects are most relevant for you and for what commodities you want to pay extra. Think well and choose wisely! 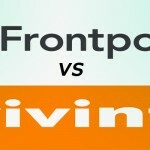 Frontpoint Security vs. LiveWatch - Who Wins?